What an amazing property. 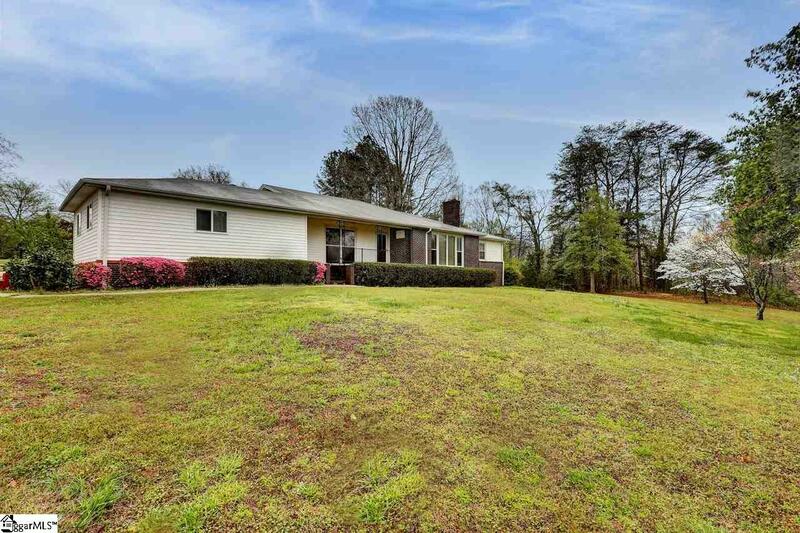 With plenty of space to spread out on 3.8 acres you will be amazed at the country feel yet still being convenient to Wade Hampton Blvd. and downtown Greer. The first thing you will notice when you enter the home is the beautiful hardwood flooring. The fully updated kitchen boasts granite countertops, an island with barstool seating and stainless steel appliances including a side by side refrigerator and full size freezer. This home features three bedrooms, two full bathrooms and one half bathroom. The master bathroom has been updated and features a walk-in shower. The hallway has three large closets for plenty of storage space. There is a family room that has the potential to be turned into a fourth bedroom or master suite by adding a doorway into a walk-in closet. The house sits on an unfinished basement with the potential to add a finished room or two. A garage sized out building with electricity and a two-car carport sits directly behind the house. Call today to schedule a showing! Listing provided courtesy of Chad Ohly of Keller Williams Grv Upst.